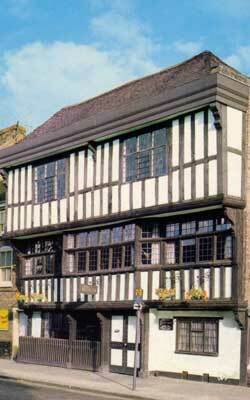 Have a great day out in Tewkesbury, Gloucestershire and visit Tewkesbury Museum – and it’s FREE! You are welcome to spend time in this wonderful unspoiled seventeenth century building. Discover Tewkesbury’s rich and diverse history through a collection which ranges from Roman remains through to wartime austerity. Learn about notable Tewkesbury people like Antarctic explorer Raymond Priestley. Study the magnificent diorama of the Battle of Tewkesbury and the unique fairground model. The building itself is a time capsule. Restored by Abbey restorer Thomas Collins in the nineteenth century and donated to the town as a Museum by an ‘anonymous gentleman’ in the twentieth, it is unique, full of original features, eclectic and eccentric. The Museum is very child-friendly, with activities to keep them absorbed for hours. Because of its age the building is not disabled-friendly, though the staff are and will do everything they can to help. As a small independent museum we offer local knowledge, local research and a fascinating glimpse into times gone by. We’re often open outside these hours; it’s worth a look. We also do our best to open for individuals or groups outside these hours, by special arrangement. Allow at least an hour for a visit. There is limited street parking outside the museum (free for a maximum of an hour). Most local buses stop within 100 metres of the museum. We are located at 64 Barton Street, Tewkesbury, Gloucestershire, GL20 5PX.